Three breakfasts, three lunches, two dinners. In addition to the main meals mentioned previously, snacks and refreshments will be offered between the main meals (at least twice a day). One night on board, and two nights in the Grand Hotel of Andimeshk. A sleeper train to go, a railbus to return, and tourist buses for sightseeing. 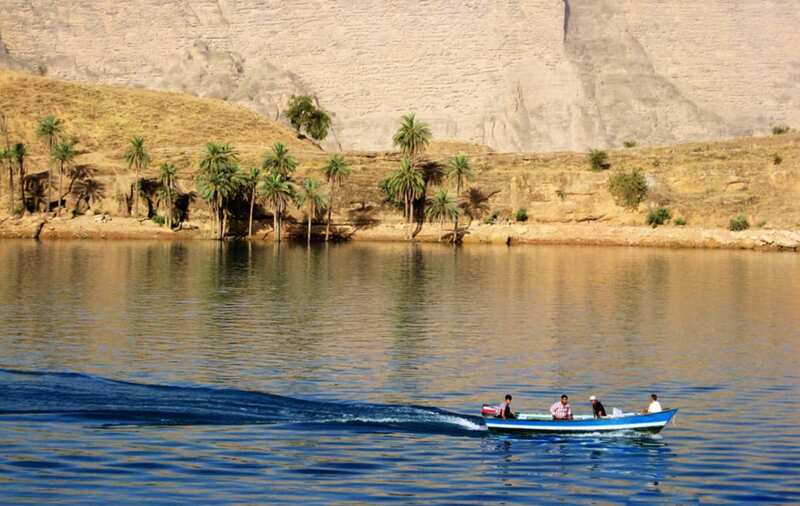 Accompany us on another different trip, this time to Khuzestan! 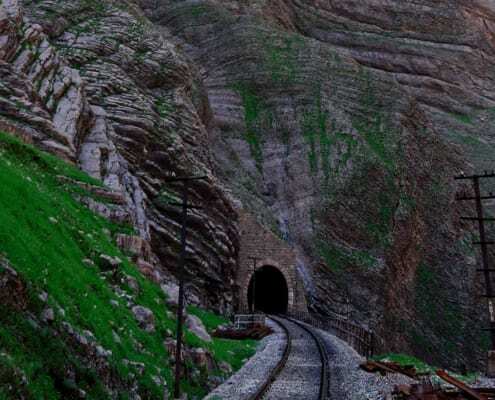 This is an exceptional opportunity to visit the dream railway of Andimeshk and Doroud on the tourism train; you will enjoy the companionship of railway, river and Zagros Mountains. 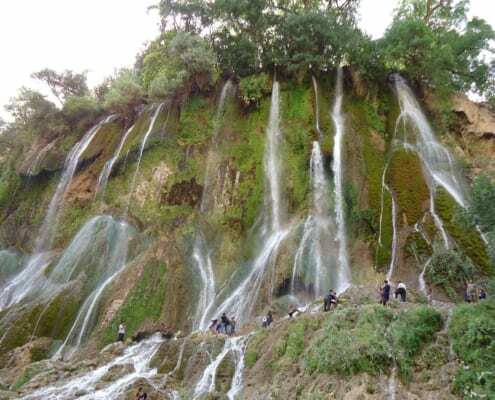 This multidimensional trip will uncover the nature, history and industry of Khuzestan Province. 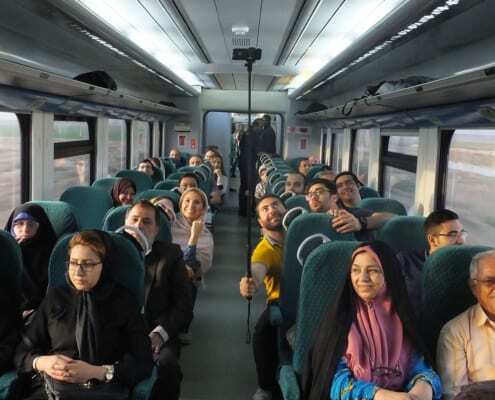 Being present at the entrance hall of Tehran Train Station at least 45 minutes before the train departure, we have the chance to get acquainted with our fellow travelers. 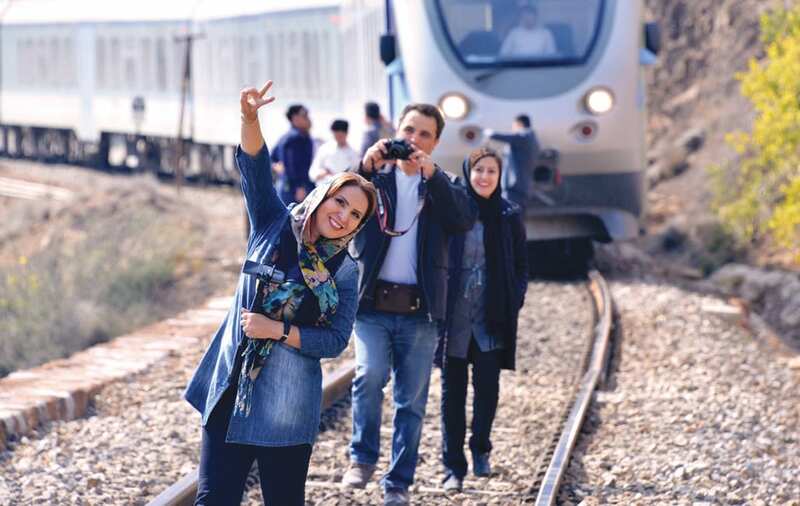 The train tickets will be given to the passengers by SURFIRAN tour guides at this time. When the train is ready for boarding, we will get on the train and take either a 4-bedded or a 6-bedded compartment of Raja Train. 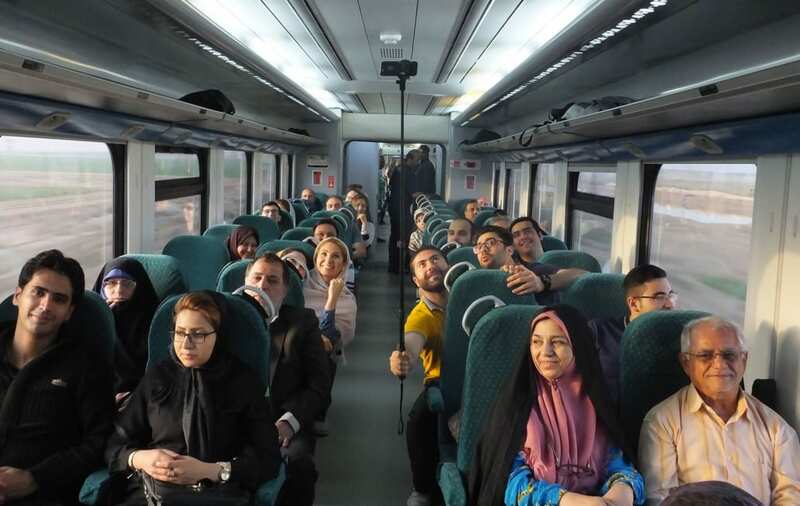 Our overnight journey to Khuzestan starts now, and you have almost an hour and a half to view the new Tehran-Qom Railway in daylight. On the day two, at about 6:30, when the sun rises, we will get off the train at Haft Tape Station. The tourist buses are waiting for us. 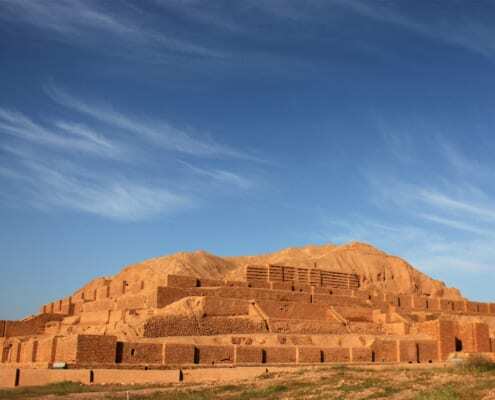 The closeness of the station to Haft Tape historical site gives us the opportunity to visit this 3500-year-old site under the rays of sunlight shining through the clouds in Khuzestan Plain. After that, moving through the vast sugar cane fields, we will go to Khammat Village, near Tchogha Zanbil Ziggurat, to have breakfast. 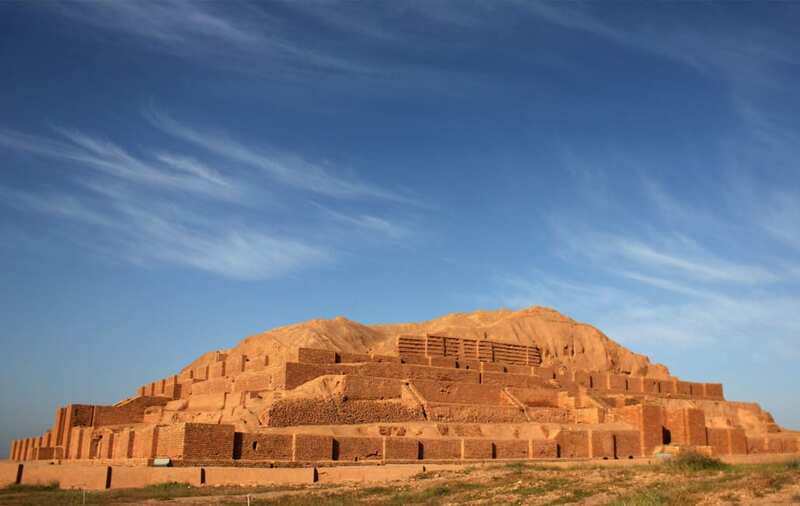 Then, we will visit the first Iranian site registered on UNESCO World Heritage List. 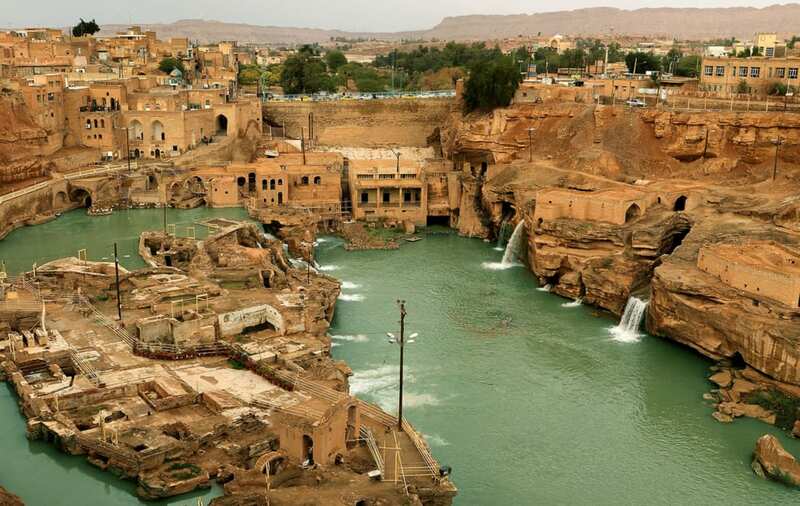 The next to visit is Shushtar and its incredible Hydraulic Water System. 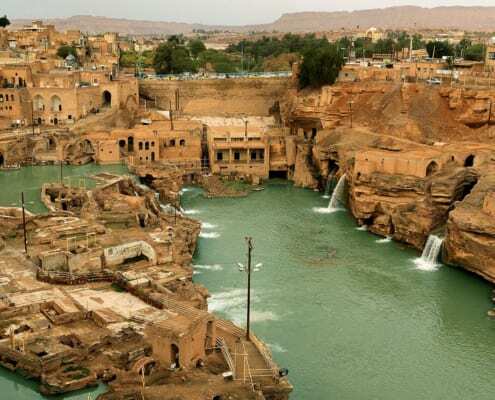 We will have lunch in Shushtar and will continue visiting the city up until the afternoon. 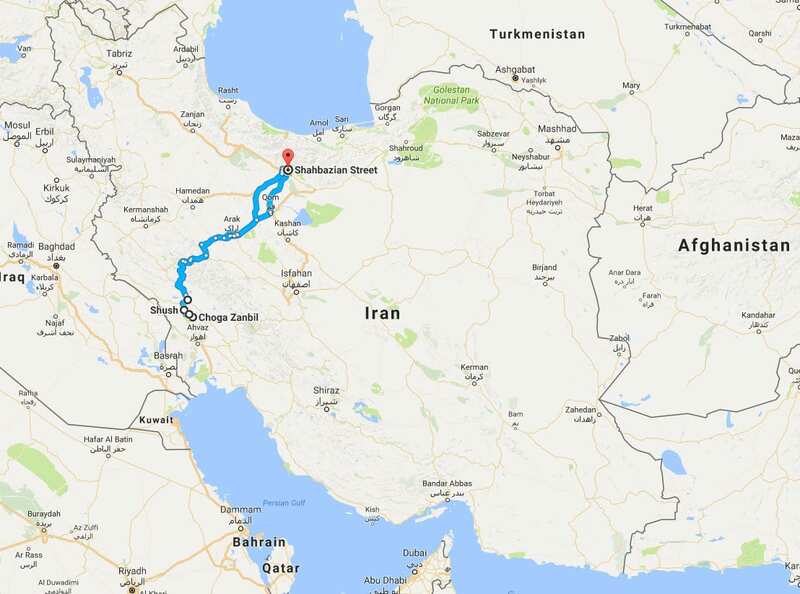 Afterwards, we will move towards Dezful and Andimeshk. We will stay in Andimeshk Grand Hotel overnight. 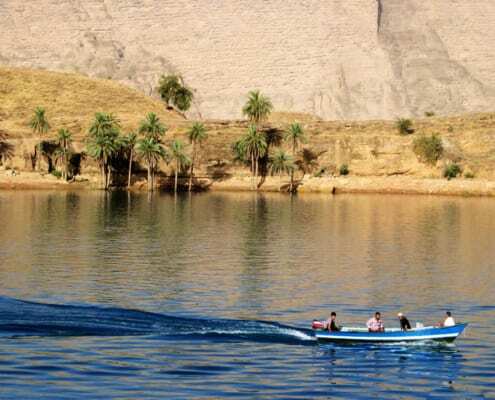 Today, after having breakfast at the hotel, we will move towards Dez Dam and its lake. Technical complexities had been added to the construction of this concrete structure due to the unique features of the place where it is built. However, the final outcome is a structure that everyone, even the inexpert, admires. 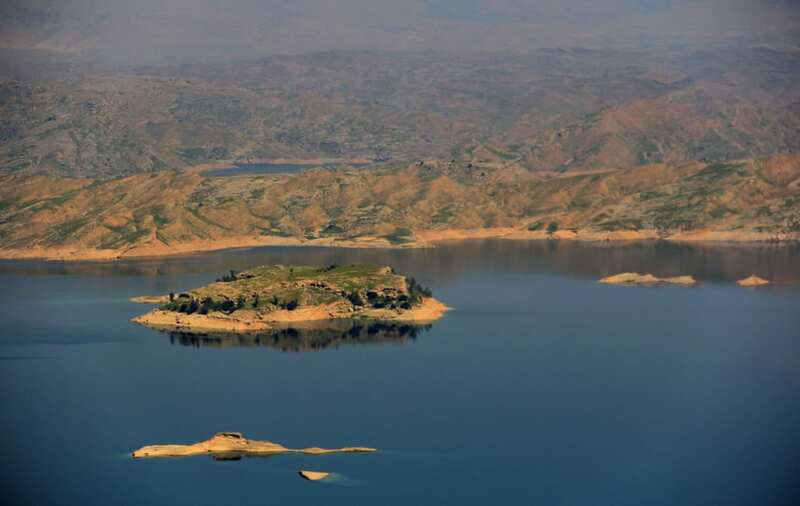 After visiting the lake of the dam, we will return to Andimeshk; and having a short time, we will continue our sightseeing immediately after lunch. Our journey continues in the 5500-year-old city of Shush, one of the earliest cities around the world and the third UNESCO World Heritage Site that we will visit on this trip. We will visit some of the important parts of this ancient city. 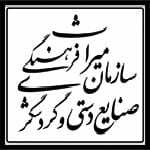 Our next destination is Karkheh Bridge. 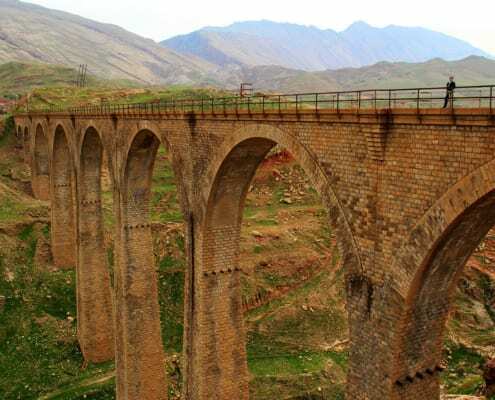 Here, we can also visit the remaining of the Sassanid Stone Bridge. 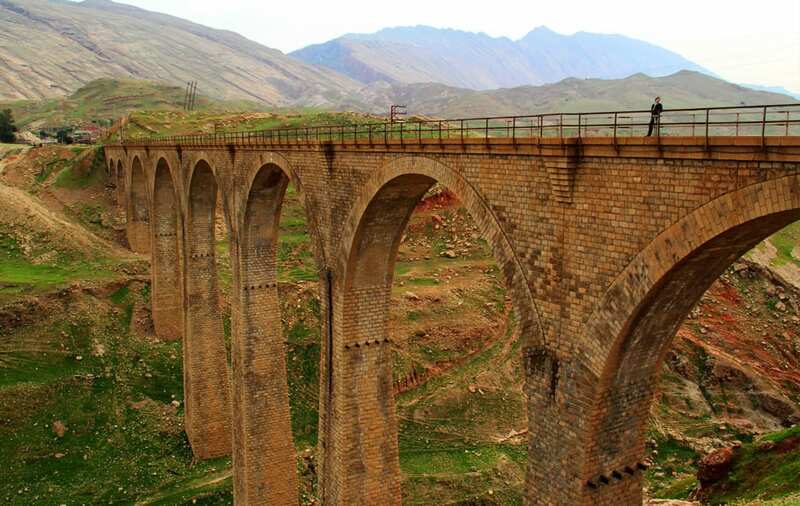 Additionally, the modern bridges located in this area (which were the most important places to protect the country during the Iran-Iraq War) will be visited. The importance of this place will be revealed during the visit. At the end of the day, we will move towards Andimeshk to our hotel to take a rest and get ready for our next day excursion. Today's exciting program will start after having breakfast, checking out of the hotel, and leaving for Andimeshk Train Station. On the fourth day of the trip, the private railbus (similar to the one you have probably taken on your trip to Savadkooh) is waiting for us. Our journey in Khuzestan Plain starts from Andimeshk. 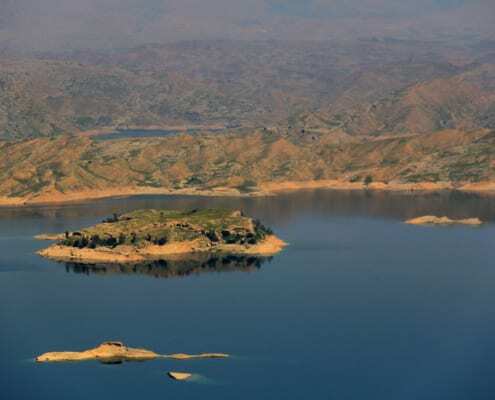 Passing Dokuhe behind and turning eastwards, we will move towards the Zagros Mountains. First, we will move through the sandstone hills (similar to the ones we visited the day before on our way to Dez Dam). 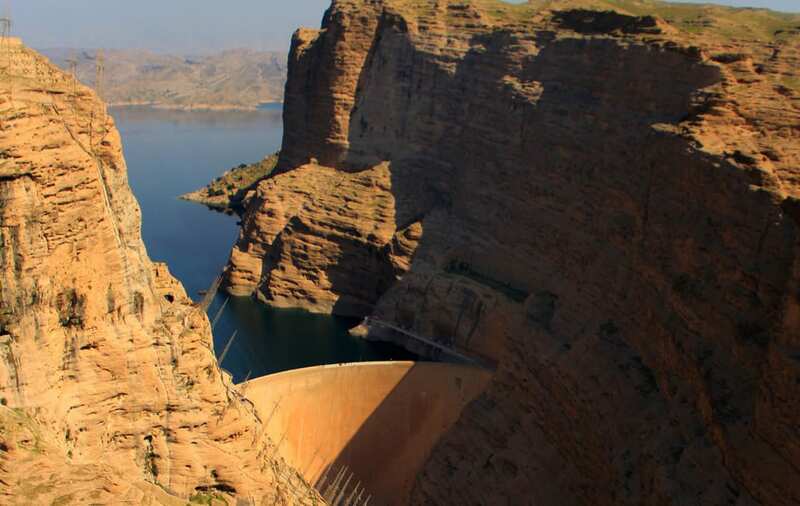 The height and the number of mountains will gradually increase; arriving at Shahbazan Station, we will get ready to go past the great stone wall of Shahbazan and enter the Zagros area. 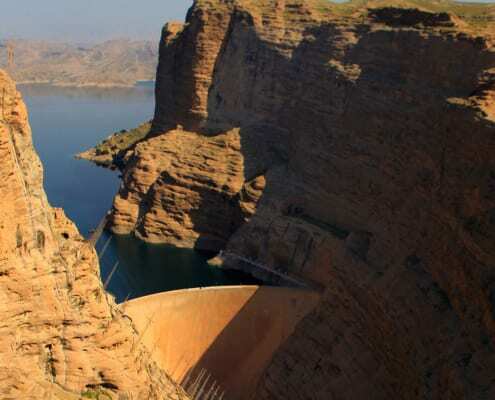 From here, right at the end of Dez Lake, we will accompany Dez River throughout the grand canyons. The companionship continues up until the river turns into a small stream. 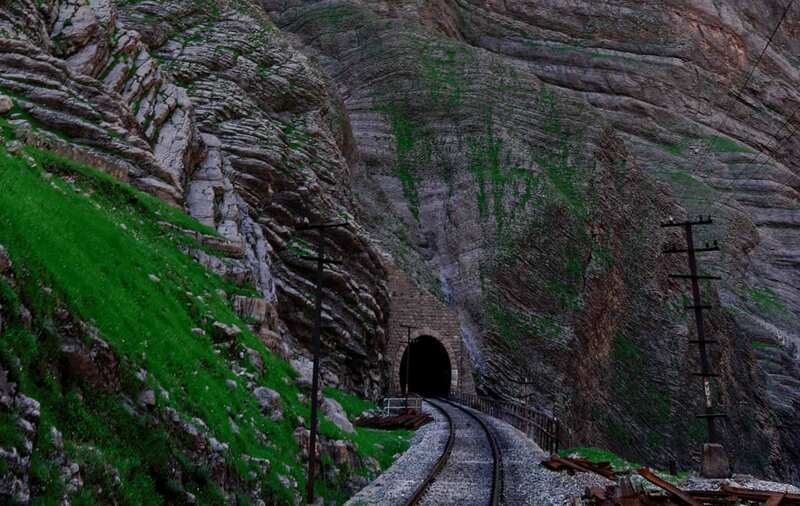 Moving through this spectacular route, we will get to know the story of the Trans-Iranian Railway, the events relating to this route, and the remaining of the tools and structures used at the time of building the railway. 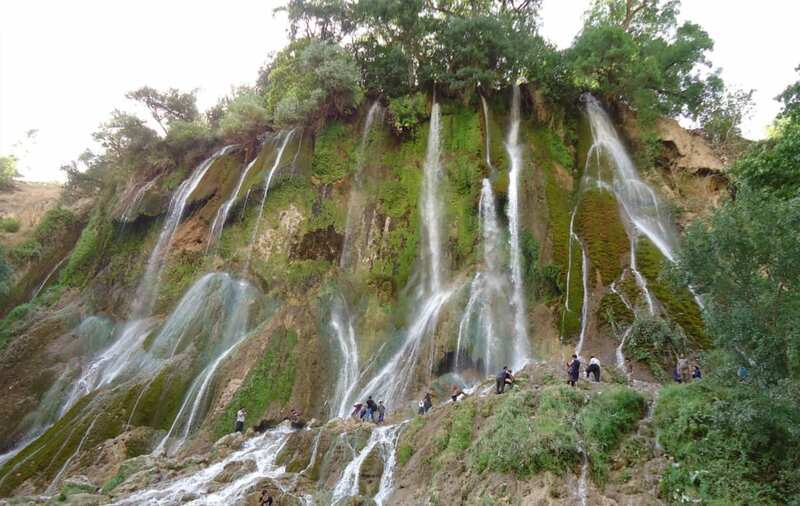 Before arriving at Bisheh Station, visiting Bisheh Waterfall, and having lunch, we will visit the highest valley bridges of Trans-Iranian Railway, Death Valley, the Great Wall of Tang-e Chahar, Tale Zang Bridge, the 80-year-old suspension bridge, several tunnels of Tang-e Haft & Tang-e Panj, the source of Dez River, Siyavash Bridge, and many more. After having lunch, we will have enough time to enjoy the sight of Oshtorankuh Mountain before the sunset. It is situated next to the railway. We will have a short stop at Arak Station and then, will have dinner on board. Hopefully we will arrive at Tehran Train Station at round 1:00 a.m. Expert tour guides, and a rail tour expert. One night of accommodation on board, two nights of accommodation in the Grand Hotel of Andimeshk, round-trip tickets (Tehran- Andimeshk- Tehran), tourist buses, entrance fees, three breakfasts, three lunches, two dinners, travel insurance, the licenses and permissions, expert tour guides, and a rail tour expert. An ID card, a canteen and a glass or mug, trekking shoes, warm clothes, an umbrella, a camera, bathing stuff (e.g. shampoo, soap etc. ), a backpack, sunglasses and a hat, your drugs, and a travel neck pillow for taking a rest on board. The order of the mentioned activities may change due to the weather conditions, and/or other environmental or technical issues. Please follow us on Telegram or Instagram to get the latest news about your trip. According to the safety measures taken on board, you are not allowed to take glasses of hot drinks anywhere while the train is in motion. Although the attendants will regularly serve the passengers, we recommend you to have a small flask if you want to have tea or any other hot drink. To avoid polluting the environment, do not take disposable tableware with you. Please read the itinerary, the tour services, and the supplementary information sections carefully, and in case you have any questions either call us or send us an email. Try to keep your luggage at about 17 kg; this way you and your fellow travelers will travel in comfort. 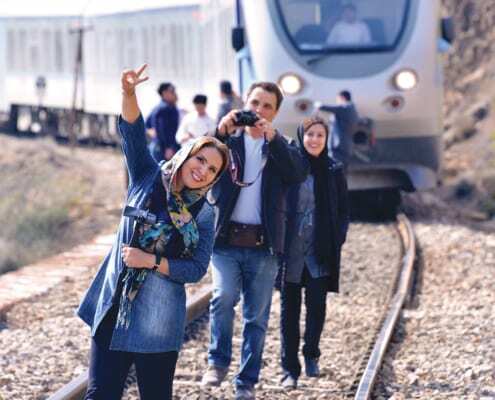 Traveling with the Tourism Train is subject to the rules and regulations of the Islamic Republic of Iran Railways.